Ergodyne ProFlex 910 2X Black And Gray Impact Gloves featured with visco elastic gel polymer palm pad offers magnificent shock, impact and vibration protection. Half finger pattern gloves with in built wrist support with patented Open Center Stay. Gloves with abrasion resistant pigskin leather and breathable stretch spandex construction provide maximum ventilation with added comfort. 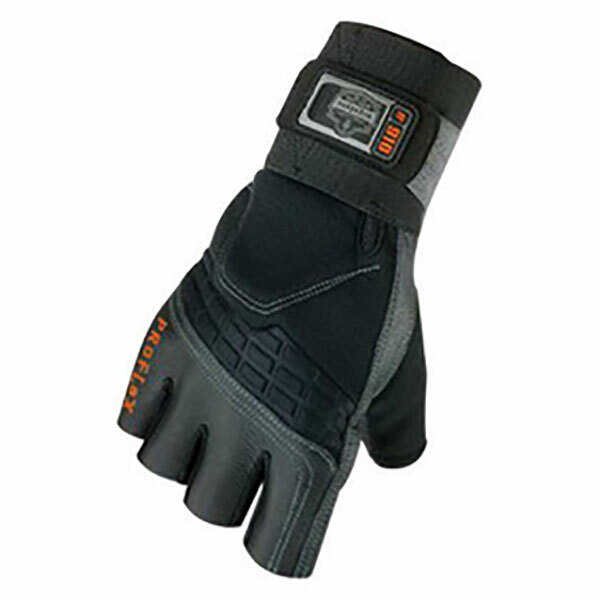 Neoprene knuckle padded gloves feature low profile closure with woven elastic cuff. EN 420, EN 388: 4143 certified gloves with anti odor treatment find application in demolition, deburring, mining, riveting, grinding, fabrication, heavy construction and in oil or gas refining.